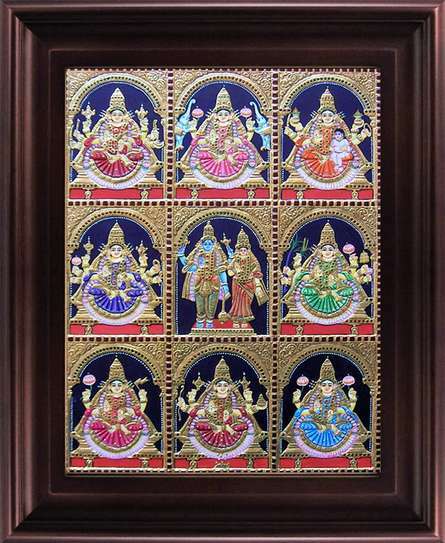 Ashta Lakshmi are a group of eight manifestations of Devi Lakshmi, the Hindu goddess of wealth. Each manifestation has its own power. She presides over eight sources of wealth. In the context of Ashta-Lakshmi means prosperity, good health, knowledge, strength, progeny, and power.